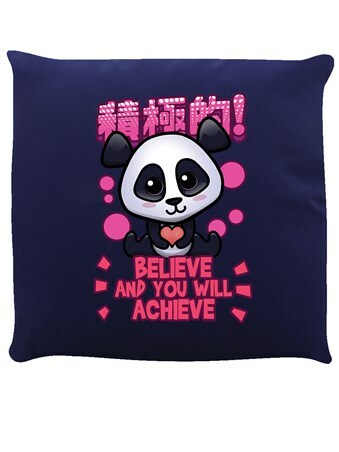 They'll be no more negativity with Handa panda around, he's the ultimate mascot for those feel good vibes! 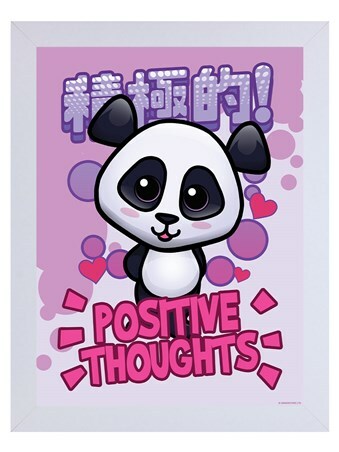 Brighten up your room and give yourself a boost with this 'Positive Thoughts' framed mini poster featuring our favourite little panda. 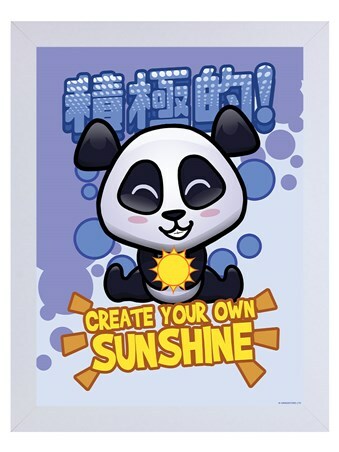 Bursting with colour and happiness, hang this piece on your wall to fill your bedroom or home with joy! 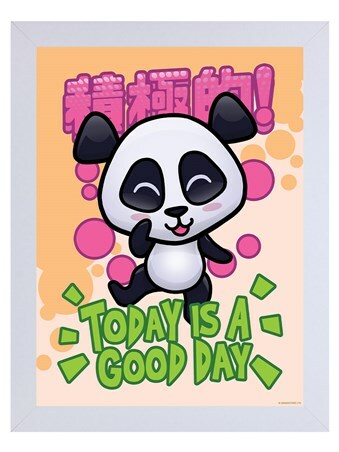 Complete with a 40cm x 50cm white wooden frame, fronted with transparent Perspex and ready to hang in your home. 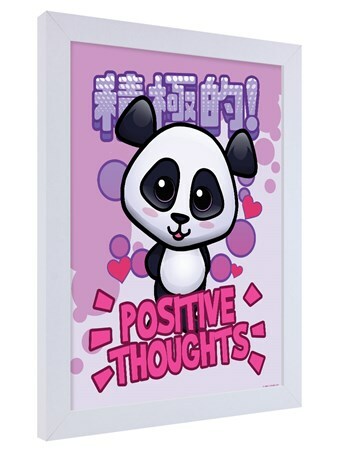 High quality, framed Positive Thoughts, Handa Panda framed mini poster with a bespoke frame by our custom framing service.